Top Rated Local® is pleased to announce that Rhoden Roofing LLC is a 2019 award winner for roofing contractors in Kansas! For all of your roofing needs in Wichita, turn to the experts at Rhoden Roofing LLC. Rhoden Roofing LLC has received more than 150 reviews on three verified sites with an average rating of 4.88 stars, earning them a stellar Rating Score™ of 94.80 and a 2019 Top Rated Local award for ranking among the top 10 roofing contractors in all of Kansas! “Rhoden Roofing’s team was fantastic from start to finish. They worked well with my insurance company and completed the project in a professional manner. They communicated well throughout the project as well. I highly recommend Rhoden Roofing for your next roofing project.” – Steve R.
We wanted to learn about what makes this award-winning business tick, so we took a few minutes to talk with the owner, John Rhoden. We also wanted to know what their mission is at Rhoden Roofing and how they work to make the world a better place. John shared with us that they give a roof away to a family in need every year, and that this year, for their 10-year anniversary, they are planning to give away a roof to two families in need. John attributes Rhoden Roofing’s strong online reputation to their commitment to always doing an excellent job, which gives them the confidence to ask their customers for reviews. Outside of building a powerful online reputation, Rhoden Roofing has gotten their name out there through SEO (search engine optimization) and referral programs. Congratulations to the team at Rhoden Roofing LLC for being a 2019 Top Rated Local award winner, and thank you so much, John, for taking the time to speak with us! We highly recommend Rhoden Roofing LLC in Wichita. Visit their website today! Top Rated Local® is pleased to announce Timberland Exteriors is a 2019 two-time award winner in Minnesota! From storm damage repair and roofing to siding and window installation, Timberland Exteriors in Maplewood has what it takes to meet your exterior needs. Timberland Exteriors has received hundreds of reviews on six verified sites with an average rating of 4.95 stars, earning them a spectacular Rating Score™ of 99.50 and two 2019 Top Rated Local awards for ranking among the top 100 businesses in Minnesota and among the top 10 roofing contractors in Minnesota! “After the hail storm in 2017, we needed our roof, gutters and skylights redone. Timberland Exteriors did a great job on all. We had to wait a couple of months, but that was due to everyone in the neighborhood needing repairs. [They have] very friendly workers, and [the] company owner stopped by regularly to check on [the] work, answer questions or take care of any concerns we had. When we are ready to replace our siding, we will have them do it. They deal with our insurance company and any problems with reimbursement, which is a huge help.” – Ellen D.
We wanted to learn a little more about Timberland Exteriors and its stand-out online reputation, so we took a few minutes to talk with Marty Waller, Regional Manager at Timberland. When asked how Timberland Exteriors has gotten their name outside of building a powerful online reputation, Marty told us that they involve themselves in the communities that they serve. 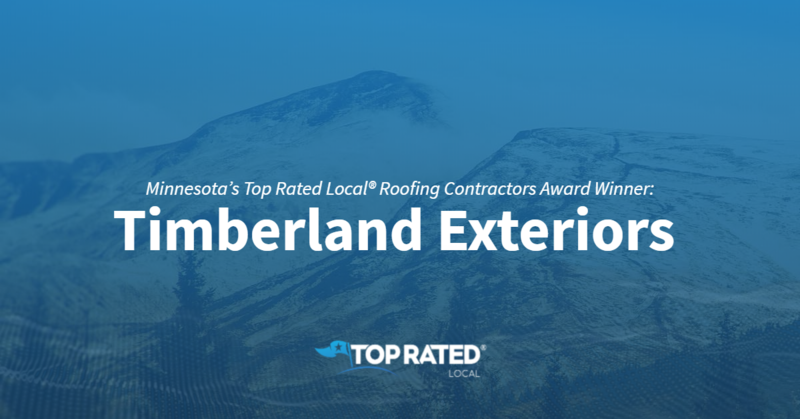 Congratulations to the team at Timberland Exteriors for being a 2019 Top Rated Local award winner, and thank you so much, Marty, for taking the time to speak with us! We highly recommend Timberland Exteriors in Maplewood. Visit their website today! Top Rated Local® is pleased to announce that Weather-Tite Exteriors is an award winner for roofing contractors in 2019. If you are looking for a roofing contractor that is known for their fair prices and exceptional customer service, look no further than this award-winning company! Weather-Tite Exteriors has received many overwhelmingly positive reviews across six different verified sites with an average rating of 4.55 stars, earning them an impressive Rating Score™ of 90.53 and a 2019 Top Rated Local award for ranking as one of the top five roofing contractors in South Dakota! “I have had Sam and his crew back to our house a few times due to the South Dakota hail storms. They always do an amazing job, clean up after themselves, and are super efficient. Plus, when issues arise, they are fast and prompt to get them fixed.” – E.L. It is because of excellent reviews like this that Weather-Tite Exteriors is now able to call themselves a Top Rated Local award winner! We were excited to learn all about how Weather-Tite Exteriors has been able to build such an impressive reputation, so we sat down with the owner, Sam Chandler. Sam told us that every word of that mission is important to them, and that it is something they remind their employees of all the time. They really want to drive home the fact that they are there to serve others. Sam also told us that they are now trying to be more eco-friendly as a company. They are doing this by using smarter products that have recycled content or are recyclable. He told us about a product they are using from Canada that is made of recycled tires. Using this product allows the company to recycle about 400 tires per roof, a fact Sam is very proud of. With as impressive a reputation as Weather-Tite Exteriors has, it is no wonder word of mouth has been their primary source for new clients. In fact, Sam tells us they really don’t invest in any other kind of marketing. Congratulations to Weather-Tite Exteriors for being a 2019 Top Rated Local award winner, and special thanks to Sam for taking the time to speak with us! 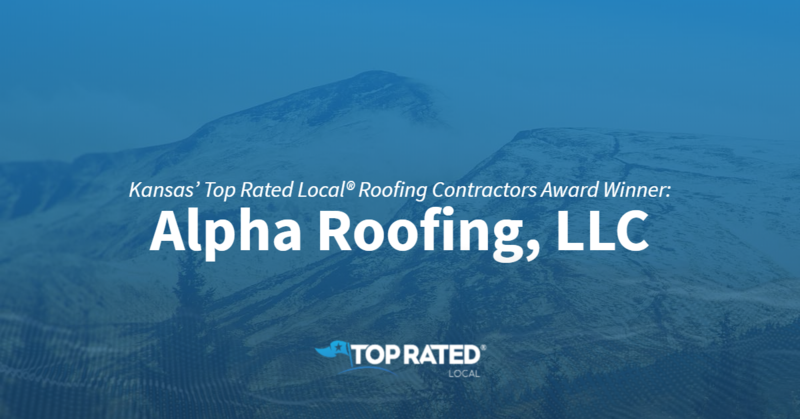 Top Rated Local® is pleased to announce that Alpha Roofing, LLC is a 2019 award winner for roofing contractors in Kansas! For all of your roofing needs in Lawrence, turn to a team you can trust to get the job done right the first time by turning to Alpha Roofing, LLC. Alpha Roofing has received dozens of reviews on four verified sites with an average rating of 4.79 stars, earning them a phenomenal Rating Score™ of 95.87 and a 2019 Top Rated Local award for ranking among the top 10 roofing contractors in all of Kansas! “Alpha put a roof on my house three years ago. Recently, we had a windstorm that took a tree out onto my house. The insurance company sent an adjuster out to look at the roof, even though the tree didn’t contact it. As the adjuster came down off his ladder, he said, ‘That’s the best roof installation that I’ve seen in my 20+ years of doing this!’ Thanks, Alpha.” – Thomas H.
Darin Lutz, the owner of Alpha Roofing, and Yvonne Rude, Chief Operating Officer, gave us a few minutes of their time to tell us a little more about this award-winning business and its impressive online reputation. Congratulations to the team at Alpha Roofing for being a 2019 Top Rated Local award winner, and thank you so much, Darin and Yvonne, for taking the time to speak with us! For all of your roofing needs in Lawrence, we highly recommend working with Alpha Roofing. Visit their website today! Top Rated Local® is pleased to announce that ABC Seamless is a 2019 award winner! “We were extremely satisfied with ABC Seamless. The crew working on our house was kind, skilled, professional, and NEAT. Everything was cleaned up at the end of each day and on completion of the project. The project was completed on time and looks absolutely beautiful. We would highly recommend ABC Seamless!” -Jill E.
That’s just one of the nearly 100 reviews that ABC Seamless had received on verified review sites, giving them an 88.00 Rating Score™, a 4.60 average star rating, and a spot among the top five roofing contractors in the entire state of North Dakota! Scott Muellerkamp, the Sales Support Manager at ABC Seamless of Fargo, took some time to speak to our team about the business’ impressive online reputation. The very first thing we wanted to know was how Scott and the rest of the ABC Seamless team separate themselves from other roofing companies in the area. “ABC Seamless has been around for 40 years, and we plan to be around for 40 more. The reason for that is because we’re second to none in customer service and product… We build our entire company around people who do exceptional work, from our installers to sales, to accounting, to sales support, and management,” he told us. “We all work together to achieve high marks in what makes a great business a great business — the customer experience. We want to drive it home that Together Everyone Achieves More. When we create the TEAM atmosphere, we will always be successful as that passes on the overall customer experience and future interactions with our company. Congratulations to the team at ABC Seamless for being a 2019 Top Rated Local award winner, and thank you so much, Scott, for taking the time to speak with us! 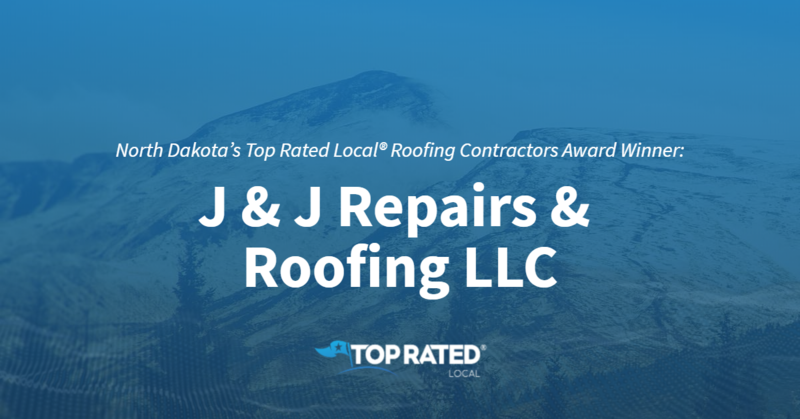 Top Rated Local® is pleased to announce that J & J Repairs & Roofing LLC is a 2019 award winner for roofing contractors in North Dakota! For professional, reliable roofing services in Fargo, there’s no better option than J & J Repairs & Roofing LLC. J & J Repairs & Roofing LLC has received dozens of reviews with an average rating of 4.80 stars, earning them an outstanding Rating Score™ of 90.00 and a 2019 Top Rated Local award for ranking among the top 10 roofing companies in all of North Dakota! “The guys were great. They showed up the day I called them, and within two days, my roof was fixed, which was great because a big rainstorm came in the night they finished. The owner has several businesses and was also able to clean out my yard of all the overgrown trees and weeds. He also cleaned out my gutters. My house looks great now!! I would recommend J & J Repairs to anyone.” – A.T.
Dave, owner of J & J Repairs & Roofing, generously gave us a few minutes of his time to tell us a little more about his award-winning business and its incredible online reputation. Dave credits J & J Repairs & Roofing’s strong online reputation to the hard work he and his team put in day in and day out, as well as to their dedication to their customers. Outside of building a powerful online reputation, Dave has grown J & J Repairs & Roofing through word of mouth and Facebook. Congratulations to the team at J & J Repairs & Roofing LLC for being a 2019 Top Rated Local award winner, and thank you so much, Dave, for taking the time to speak with us! For all of your roofing needs in Fargo, we highly recommend J & J Repairs & Roofing LLC. Visit their website today! 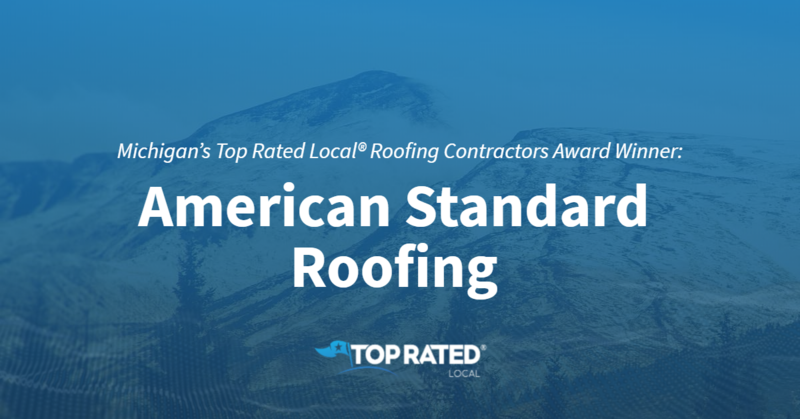 Top Rated Local® is pleased to announce that American Standard Roofing is a 2019 award winner for roofing contractors in Michigan! Turn to a roofer you can trust to get the job done right the first time by turning to American Standard Roofing in Southfield. American Standard Roofing has received hundreds of reviews on seven verified sites with an average rating of 4.77 stars, earning them a fantastic Rating Score™ of 97.68 and a 2019 Top Rated Local award for ranking among the top 10 roofing contractors in all of Michigan! “American Standard has provided us with most reasonable estimate among three other companies that we have talked to…Our salesman was knowledgeable, supportive throughout the process and remembered what we needed to be taken care of on the day of installation — it was nice to have him as our representative in this process. They also provided a 30-year warranty, which was the highest one that was provided among other companies. [The] work was done in one day; everything was cleaned up and taken care of.” – Zach G.
Gayle Goodman, the President of American Standard Roofing, generously gave us a few minutes of her time to tell us a bit more about her award-winning business and its impressive online reputation. The first question we had for Gayle was what sets American Standard Roofing apart from the many other roofing contractors in Michigan. Gayle points to the fact that they are family owned and that there is always someone to answer the phone. She also shared with us that they truly care and that, to them, the customer is of the utmost importance in everything they do. Credits their commitment to good service, following through with what they say and being honest and true to their word. Outside of building a powerful online reputation, American Standard Roofing has grown through Facebook, their blog, Google and radio advertisements. 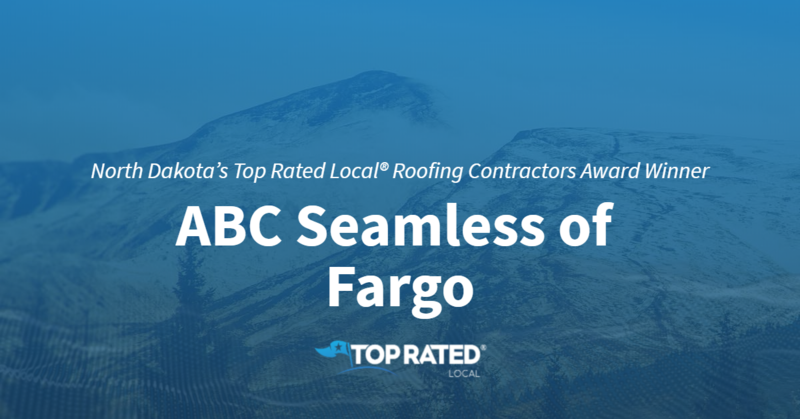 Congratulations to the team at American Standard Roofing for being a 2019 Top Rated Local award winner, and thank you so much, Gayle, for taking the time to speak with us! 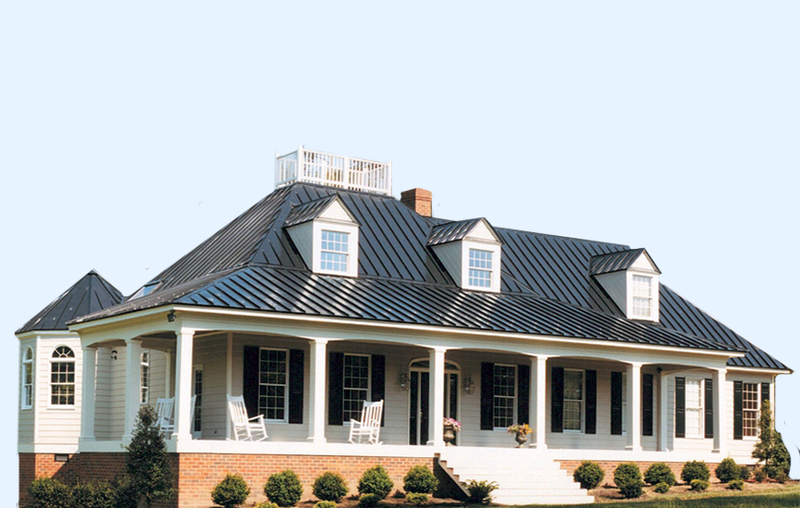 For all of your roofing needs in Southfield, we highly recommend American Standard Roofing. Visit their website today! Kansas’ Top Rated Local® Roofing Contractors Award Winner: 435 Roofing Inc.
Top Rated Local® is pleased to announce that 435 Roofing Inc. is a 2019 award winner for roofing contractors in Kansas! 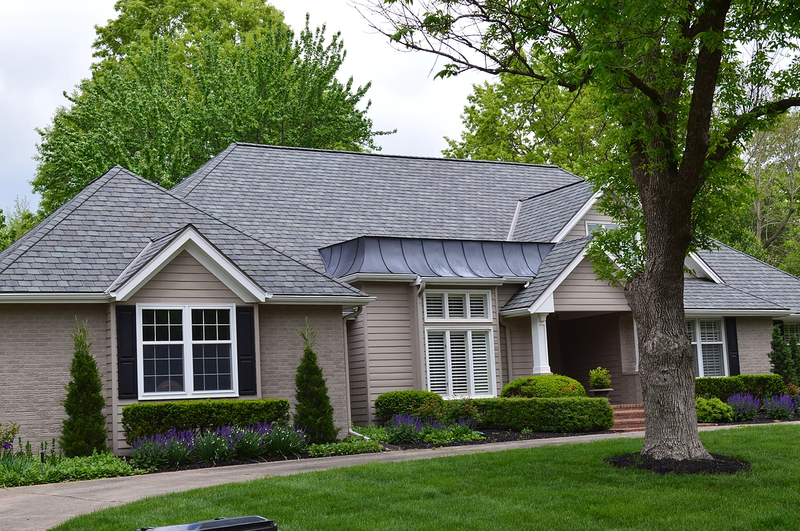 Whether you need a roof inspection, repair or complete replacement, turn to the experts at 435 Roofing Inc. in Kansas City. 435 Roofing Inc. has received dozens of reviews on three verified sites with an average rating of 4.96 stars, earning them a phenomenal Rating Score™ of 95.64 and a 2019 Top Rated Local award for ranking among the top 10 roofing contractors in all of Kansas! “Whitney and the crew were a pleasure to work with. [They provided] great communication from the start. Their quote for the repair was competitive, and they delivered quality work in a timely manner. I will gladly use 435 Roofing again in the future. Solid team!” – Mark L.
We took a few minutes to talk with Whitney Coulter, President of 435 Roofing, to learn a little more about the business and how they managed to build such an outstanding online reputation. Outside of building a powerful online reputation, 435 Roofing has grown through organic marketing, word of mouth, charitable contributions and sponsorships. Congratulations to the team at 435 Roofing for being a 2019 Top Rated Local award winner, and thank you so much, Whitney, for taking the time to speak with us! For all of your roofing needs in Kansas City, we highly recommend working with the talented team at 435 Roofing. Visit their website today! 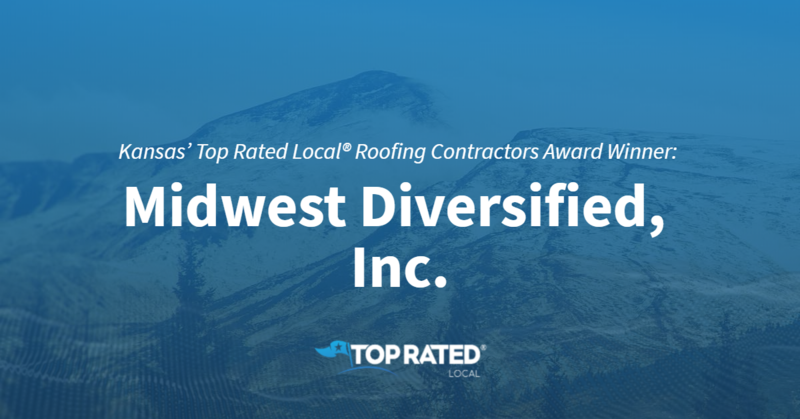 Kansas’ Top Rated Local® Roofing Contractors Award Winner: Midwest Diversified, Inc.
Top Rated Local® is pleased to announce that Midwest Diversified, Inc. is a 2019 award winner for roofing contractors in Kansas! If you need a professional and well respected roofing contractor in Kansas, look no further than Midwest Diversified, Inc. in Lawrence. Midwest Diversified, Inc. has over 60 reviews on five verified sites with an average rating of 4.94 stars earning them an astonishing Rating Score™ of 99.35 and a 2019 Top Rated Local award for being one of the top 10 roofing contractors in the entire state of Kansas. “The team at Midwest Diversified, Inc. guided me through where he thought my leak was coming from, told me how to repair it myself including what product would work the best. I had them inspect my roof and he patched several other locations. I plan to have Midwest Diversified do some other work in the future. We were very pleased with this company. They are true professionals, treating customers with respect, providing on the spot estimates, and they are not pushy or aggressive in their sales approach. I would definitely recommend and will not hesitate to call him back again.” – Brian E.
We took a few minutes to speak with Keith, owner of Midwest Diversified, Inc., to learn a little bit more about the business and how they managed to build such an incredible online reputation. We also wanted to understand what Keith and the rest of his team’s mission is every single day. Keith said their motto is “We were green and cool before green was cool”. Their mission is to take care of every single one of their clients and always bring value to them at every opportunity..
Congratulations to the team at Midwest Diversified, Inc. for being a 2019 Top Rated Local award winner, and thank you so much, Keith, for taking the time to speak with us! Learn more about this business online today. Top Rated Local® is pleased to announce that Alexander’s Roofing is one of the top three roofing contractors in the entire state of Kansas for 2019! “Sam at Alexander’s Roofing was very professional and easy to work with. He answered all our questions in a timely manner and made sure we completely understood everything through the process. His team did a great job on our roof and cleaning up after. I would certainly recommend Alexander’s Roofing.” -Clark G.
Sam Alexander, the owner of Alexander’s Roofing, took a few minutes to chat with us about his company’s fantastic online reputation. Thank you for speaking with us, Sam! 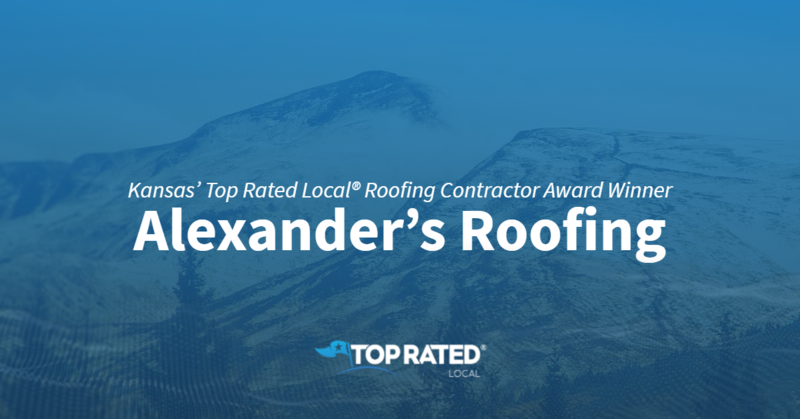 Congratulations to the team at Alexander’s Roofing for being a 2019 Top Rated Local award winner!